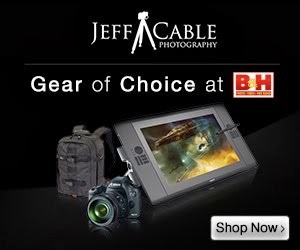 Great shots Jeff and as usual great behind the scenes advice and tips. One question. Did you use a tripod for the first tulips and cabs ½ second exposure? What actual tripod do you use for these travelling photos? I've got a very heavy Manfrotto which is often too bulky (and heavy) to take but carbon fibre tripods (and light heads) are VERY expensive. Hi Jeff, Like the last photo but if you don't mind an amateur critiquing it it might look better with a little of the right side and bottom cropped out. It's just my opinion and I know I'm not as good as you, but what do you think? Don't post this if you don't want since I think I'm the only reader to say anything other than "Wow" and "Great Photo". I did use a tripod for the long exposure shots. I travel with the Gitzo traveler. Love it! Email me for a specific model number. And yes, it is expensive. Hey, Jeff, I adore the photos and I have to agree with the others, the last one is phenomenal! Could you please tell me where exactly this lighthouse is located, I'd live to take a shot at it myself, maybe from another perspective? Thank you!